Quite what Nina believes to be stylish about my blog, I've no idea. However the presentation of another award is very much appreciated. I guess I'm doing something right after all. 4) In 2009 I finally managed to meet Lani Tupu, ten years after promising to do so. He is the loveliest guy in the whole world. 5) I still boast about being at the first music concert at the new Wembley Stadium. It was Muse and they ROCKED. Thank you, Misa! What a wonderful surprise! Hi Misa. 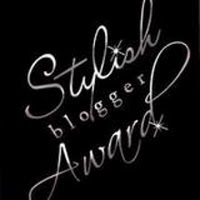 Congratulations on your award and thank you for mine; you are one stylish blogger. You have five children? Wow. 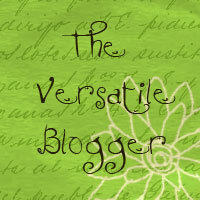 How do you find time to blog and write?! I'll stop complaining about not having enough time now. LOL.